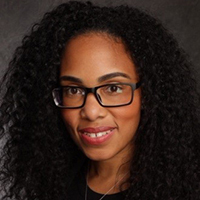 Regine Moore is the director of multicultural marketing for Walmart Stores, Inc. She has had a diverse career working on product launches at Tyson Foods as well as leading category programs at Walmart. She also managed strategic social platforms as a Sr. manager on the digital media team. There she was responsible for driving social engagement with customers to support both category and brand campaigns. She oversaw the strategy for Facebook, Pinterest, YouTube, and Walmart Moms. Prior to current role, she was the multicultural media lead. She led the media strategy for the Hispanic, African American and Asian markets. Working closely with strategic media partners, she developed plans that allowed Walmart to connect with these segments in a more engaging and relevant way. In her current role, she strives to build advocacy with Walmart’s multicultural customers by delivering a relevant message through insights, creative, and strategic media partnerships. She has a passion for multicultural marketing, and understands the importance of connecting with the segment that is the growth for not just Walmart, but all companies.